Ahead of Sunday’s premiere, it was pretty clear that fans of all stripes and striped scarves were primed for the 11th season of Doctor Who, which has a new showrunner and new cast, including Jodie Whittaker as the eponymous Time Lord. But we’re not sure anyone could have predicted that their numbers would be nearly double that of the audience that tuned in for Peter Capaldi’s final appearances. 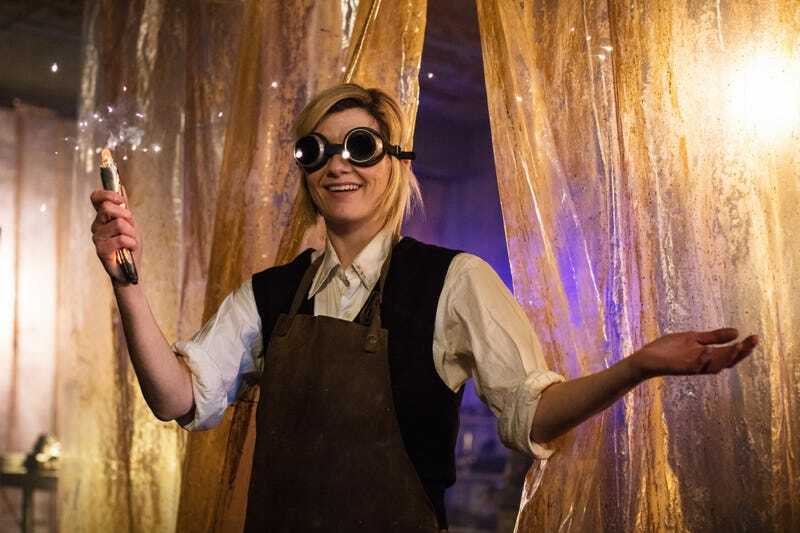 According to Deadline, 8.2 million viewers watched Whittaker make her debut as not-so-unlucky number Thirteen in “The Woman Who Fell To Earth.” By comparison, the Capaldi-led premiere of the tenth season drew 4.6 million overnight viewers, which the publication reports is “roughly in line” with the season-nine premiere. Whittaker also garnered more viewers in her arrival than Capaldi or Matt Smith in their respective debuts. David Tennant made his entrance as the Tenth Doctor to an audience of 9.4 million, but it should be noted that “The Christmas Invasion” was one of the show’s Christmas specials, which tend to reach larger audiences in general. Still, “The Woman Who Fell To Earth” nabbed the best overnight ratings for Doctor Who since 2008's “Journey’s End,” which, along with Whittaker’s great performance, proves the show’s new era is off to a great start.